On CD for the first time ever, the complete recorded collaborations of Bobby Hackett and Zoot Sims, originally issued on two albums titled Strike Up the Band (1974) and Creole Cookin (1967). 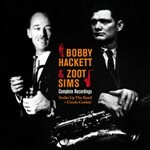 Although both musicians enjoyed long and fruitful careers, Bobby Hackett (1915-1976) and Zoot Sims (1925-1985) would only collaborate in a recording studio during the making of the two albums reissued here. 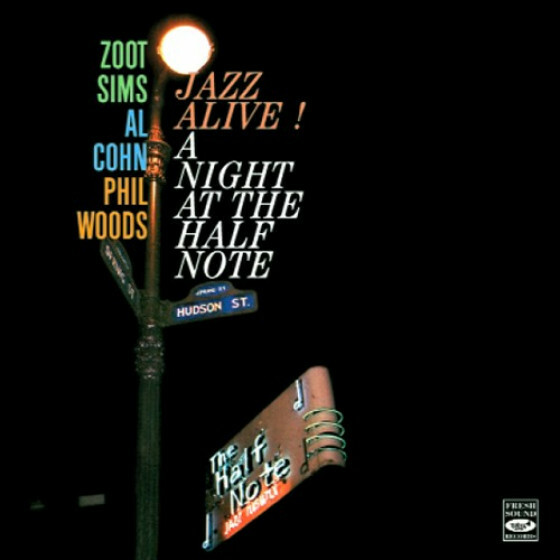 No live recordings of them playing together are known to exist, with the sole exception of a short version of When the Saint Go Marching In from the soundtrack of the 1957 Timex All Stars TV Show, on which neither can be heard clearly. "Strike Up The Band" (Flying Dutchman BDL1 0829). 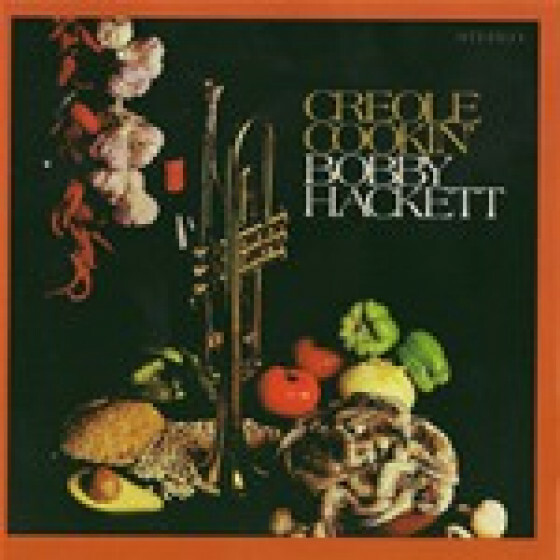 "Creole Cookin'" (Verve V/V6 8698). 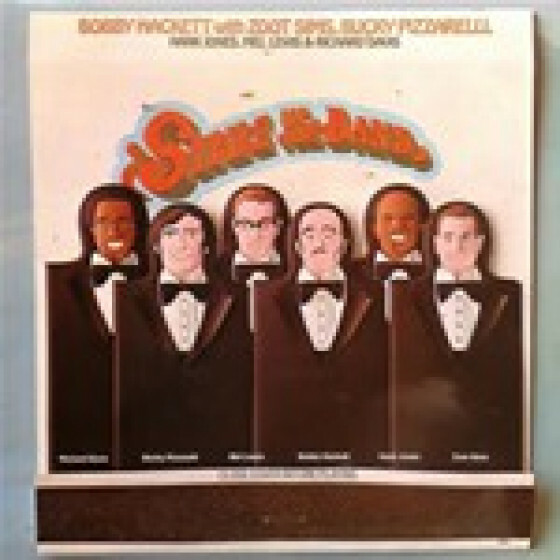 Bobby Hackett (tp), Zoo Sims (ts), Hank Jones (p), Bucky Pizzarelli (g), Hank Jones (p), Richard Davis (b) and Mel Lewis (d). Glen Osser (arr). Recorded in New York, on August 3, 1974. 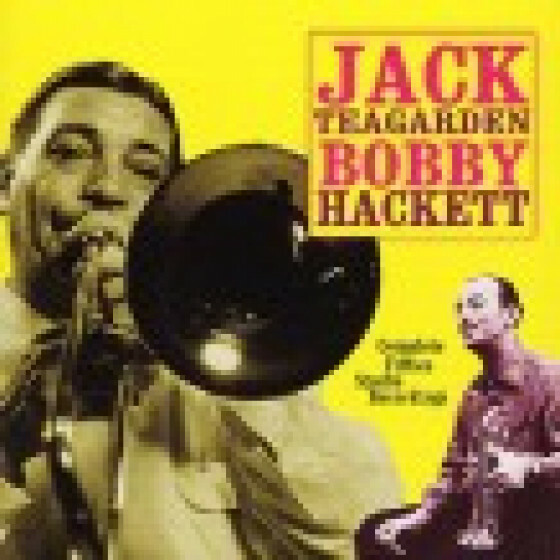 Bobby Hackett (tp), Zoo Sims (ts), Bob Brookmeyer, Bob Cutshall (tb), James Morreale, Rusty Dedrick (tp), Jerry Dodgion (as), Joe Farrell (ts), Pepper Adams (bs), Bob Wilber (ss, cl & arr), Dave McKenna (p), Wayne Wright (g), Buddy Jones (b) and Morey Feld (d). Recorded in New York, on January 30, March 13 & May 2, 1967. 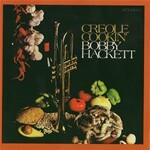 "Hackett recorded many excellent performances throughout his life; this LP is one of the more rewarding of his later years. 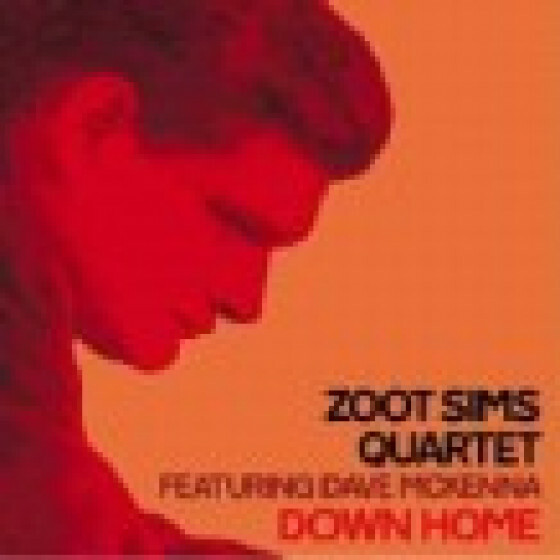 He is teamed successfully with tenor-saxophonist Zoot Sims and guitarist Bucky Pizzarelli in a frequently exciting sextet. Highpoints include the uptempo "Strike up the Band," a revisit to "Embraceable You" (Hackett had cut a famous solo on that standard 34 years earlier) and a variety of standards and basic originals. A consistently stimulating and enjoyable set, it is well-deserving of being reissued on CD"
"A Hackett must-have this Verve LP features the arrangements and clarinet/soprano sax playing of Bob Wilbur. 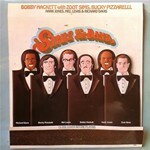 Bobby is backed up by a modern big band consisting of a dozen top NYC session men, and his playing has never been better. The recording quality is first-rate. Hold out for the latter if you can, and listen with headphones! I hope this somewhat obscure LP is released to CD someday."